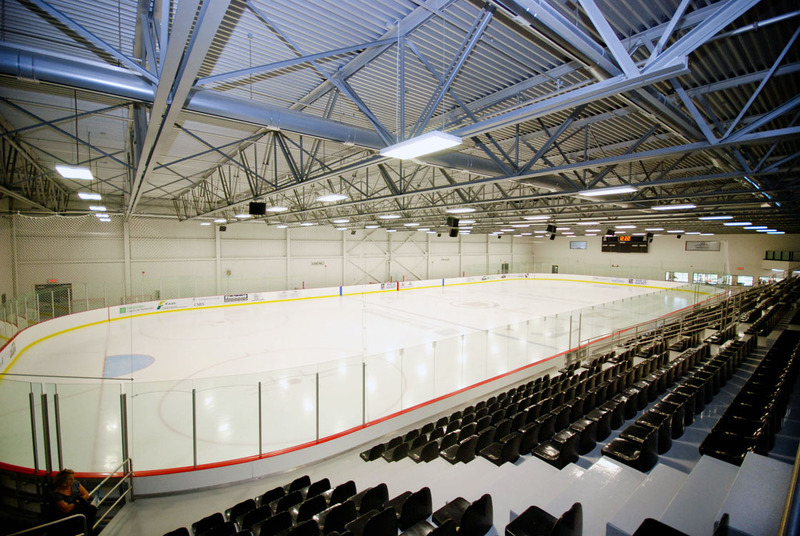 The new arena includes two ice rinks (750 and 350 seats) and a half-rink (50 seats) with several new amenities from physiotherapy rooms to a new food court. EXP provided engineering services with a number of energy-saving measures to recover heat from the refrigeration equipment. These recovery measures consisted of preheating fresh ventilation air, radiant-heated floors and the heating of shower water, under the ice slab, resurfacing water and melted snow in the snow pit. From recovery measures to the implementation of a central control system and strategies to reduce consumption, the building’s energy performance saves over 1,750,000 kWh per year.